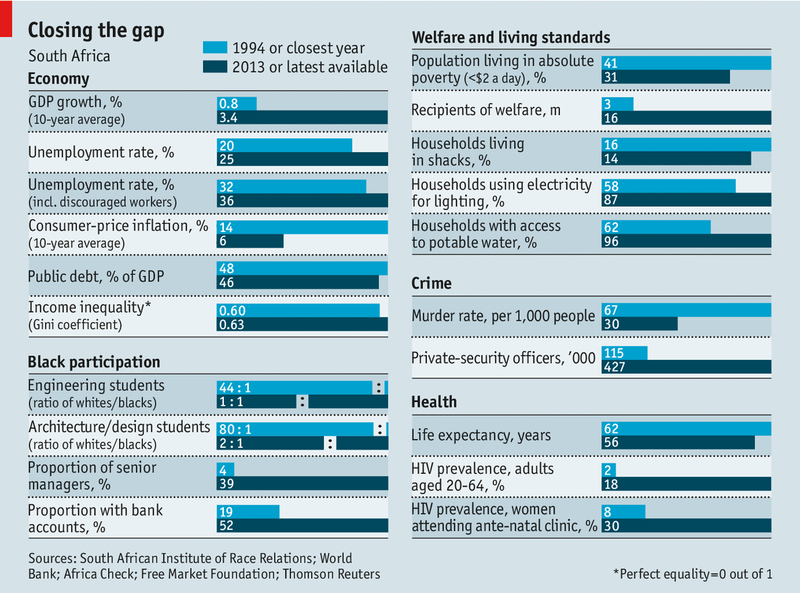 Is South Africa getting better? 1. Statistics South Africa and the Actuarial Society of South Africa note a improvement in life expectancy for South African citizens. This could be a result of government measures to combat communicable diseases such as Aids and tuberculosis (TB). Although the cases of people with Aids and TB have increased since then. 2. There is an big reduction in child mortality, with deaths from malnutrition and preventable diseases substantially reduced. 3. The immunization of infants under a year old grew from from 63% in 1998 to 90.8% in 2011. Over the past five years South Africa has achieved one of the fastest rates of child mortality reduction in the world. 4. There has been a stabilization of the number of people living with HIV in South Africa, which had risen all through the 1990s. Prevalence among the youth levelled off between 2009 and 2012; South Africa will probably meet the millennium development goals targets here. 5. The national TB cure rate in South Africa has improved gradually. In 2010, for the first time, the rate passed the 70% mark, reaching 73% the following year. Case notification for all forms of TB has increased over the past decade, from 188 695 in 2001 to 389 974 in 2011. The number of people defaulting on TB treatment declined from 13% in 2000 to 8% in 2011 – and to 6.1% in 2012. 6. The percentage of children up to the age of four in early childhood development facilities increased by 18.4% between 2007 and 2011; for five-year-olds, the increase was 24.6% over the same period. 7. Development Indicators 2012 (sixth edition) shows that adult literacy is increasing and that the percentage of university graduates with degrees in science, engineering and technology is picking up after a decline between 2008 and 2010. 8. SA’s Automotive Investment Scheme has supported 160 investment projects which has sustained more than 50 000 jobs. 9. In the past two years more than 20 000 minibus taxis and 330 buses were assembled locally. 10.. Government has replaced nearly 500 informal settlements with quality housing and basic services over the past five years. Let me emphasize how massive achievement this is. those people now have electricity, water. A proper chance to a future where kids can actually grow up and go to school. 11. The number of children attending Grade R has more than doubled to 700 000 between 2003 and 2011. 12. 370 new schools to replace/ replaced mud schools and other unsuitable structures. 13. On a tertiary level two new universities, Sol Plaatje in the Northern Cape and the University of Mpumalanga have been established. 14. 300 new health facilities have been built, including 160 new clinics. Ten new hospitals have been built or refurbished around the country.